For more than 45 years, Morris Hall, PLLC, has been meeting the long-term planning needs of families looking for special needs trusts in Arizona and New Mexico. Nearly one in 10 families in the United States copes with the disability of a family member. The costs of ongoing medical care, special equipment and training can be staggering. Without proper asset protection planning, a family member with special needs could lose valuable government benefits and other services, and the family could be forced to spend all it has in taking care of the family member. At Morris Hall, we work to ensure that families employ the right estate planning tools to protect themselves from the financial burden of providing long-term care for a member with special needs. By setting up a special-needs trust, assets may be set aside for the care of a family member without placing the assets in that person’s name. It gives the family control of the assets without disqualifying the beneficiary from receiving funding through government assistance programs. Special-needs trusts must be carefully set up to provide maximum protection against unintended tax consequences and predatory practices by family members and dishonest trustees. Our senior attorneys each have more than 45 years of experience and leadership in the area of special-needs trusts and living trusts. Talk to us about attending one of our local seminars in your area. 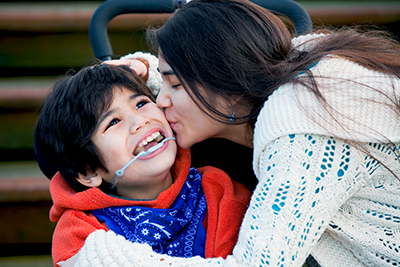 Learn more about special needs and estate planning. Contact us to arrange a consultation with an experienced Morris Hall estate planning lawyer today. Our offices are located in Phoenix, Tucson, Albuquerque and communities throughout Arizona and New Mexico.